We wish you a heartful and warm welcome to our cabins. Each of our houses is placed direct at the waterfront and the area is wellknown for very good fishing grounds. Each house has got a wellequipped kitchen and there is also 2 bathrooms and 4 bedrooms. Our houses is situated on the banks of Sandsfjorden and the area is calm and protected from winds and waves. It is also close to the good fishing grounds in Vindafjorden and Nedstrandsfjorden. In this area there will always be a current or tide bringing in fish. We are wellknown for the variety in fish that can be catched. And as well as fishing from boat, it is always possible to fish from shore. 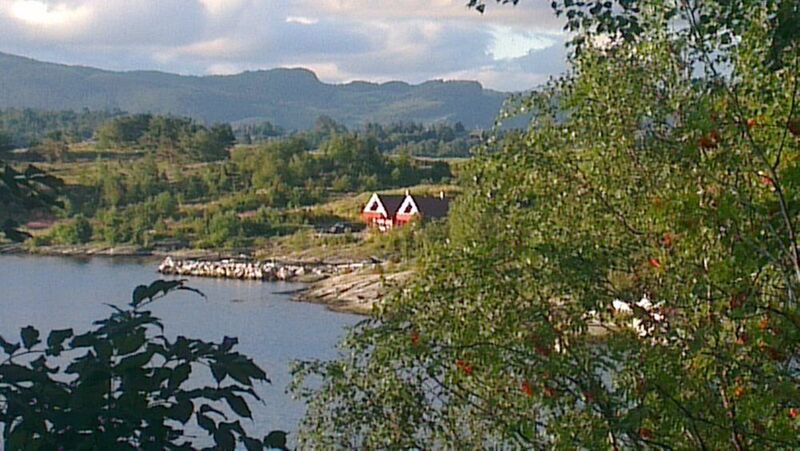 The area around gives varied and good possiblilities for walks, or just relax and look at the lovely fjord and scenery. Longer day-trips to Stavanger, Haugesund or other interesting places, such as Prekestolen, is also possible.